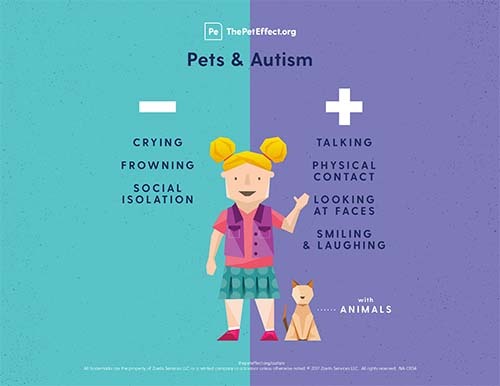 Washington, D.C. (May 22, 2017) — The Human Animal Bond Research Institute (HABRI) and Green Chimneys announced the publication of a study exploring the effectiveness of an animal-assisted social skills intervention for children with Autism Spectrum Disorder (ASD). Research was conducted at Green Chimneys, a therapeutic school and treatment center for children facing social, emotional, and behavioral challenges. Findings demonstrate that incorporating therapy dogs in social skills training is a valid approach to teaching children with ASD to engage with peers and improve social interaction. “The value of partnership with organizations such as HABRI is the opportunity to add to the growing pool of data demonstrating the benefits of integrating animals into therapy,” said Dr. Steven Klee, Green Chimneys Associate Executive Director of Clinical & Medical Services. Green Chimneys is a multi-faceted nonprofit organization helping young people to maximize their full potential by providing residential, educational, clinical and recreational services in a safe and supportive environment that nurtures connections with their families, the community, animals and nature. Services include an accredited special education school on two campuses, residential treatment center, animal-assisted and nature-based therapeutic programs, public education and recreation programs, and community-based support for youth and families. All research is conducted under The Sam and Myra Ross Institute which serves to facilitate understanding, education and medical recognition of the significant influence of nature-based therapies, education and interactions. www.greenchimneys.org.